Raleigh-based footwear brand Feelgoodz has made its first acquisition – that of eco-accessories brand Rising Tide. 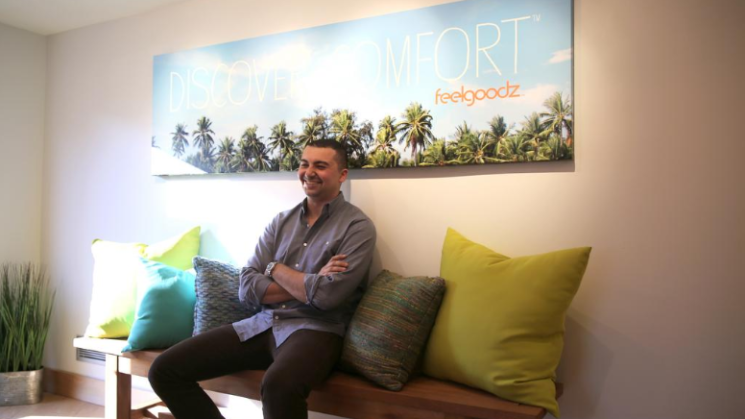 In an interview, Feelgoodz co-founder Mark Saad says the combined firm plans to leverage both brands’ existing relationships with Whole Foods to expand within the Amazon-owned grocery store’s ecosystem. Right now, both brands are in the same section at Whole Foods, though “they sell on the opposite season we do.” The flip-flops Feelgoodz sells do best in the summer months, while the hats, scarves and gloves that Massachusetts-based Rising Tide produces attract more customers in the fall and winter months. As of January, both brands will be using FeelGoodz’s new 20,000-square-foot warehouse and distribution facility, which could allow for additional capacity. FeelGoodz, led by CEO Mac Sullivan, has about 15 employees, with Rising Tide adding another eight. FeelGoodz is the product of both Saad and Kyle Berner. Saad, a Raleigh native, had founded flip-flop maker Kinder Soles when he met Berner, who was operating Feelgoodz in New Orleans. The pair went into business together about six years ago, moving the combined firm’s headquarters to Raleigh. Rising Tide, founded in 1989 by Jeff Shotland and Pete Sylvan, offers handmade accessories created within communities in India and Nepal.